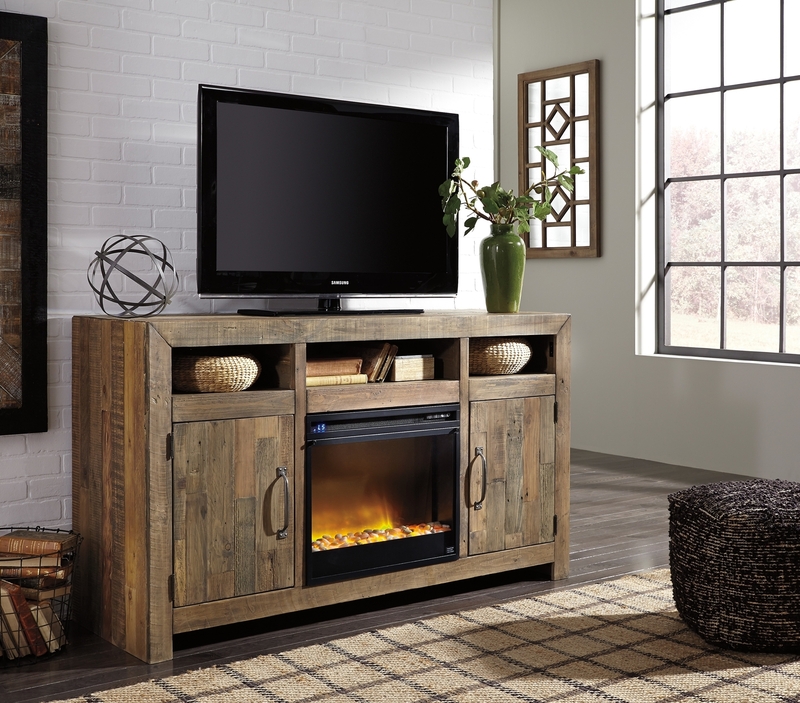 Sommerford TV stand with fireplace option sets a casual mood in the heart of the city. Its earthy style is clean, yet sophisticated, with a rustic gray-brown finish and planked top—an homage to reclaimed barn wood. Made with reclaimed Pine solids that have taken on the patina of time and will include nail holes, patches, dings and gouges. Finished in a light gray brown color that accentuates the color variations brought on by time and use. Contemporary form with planked top that flows down each side. Can accommodate a 65" TV. Top side opening (2) 15.38" x 18.25" x 5.13"
Top center opening 22.75" x 18.25" x 5.13"
Door opening (2) 15.00" x 18.00" x 19.75"